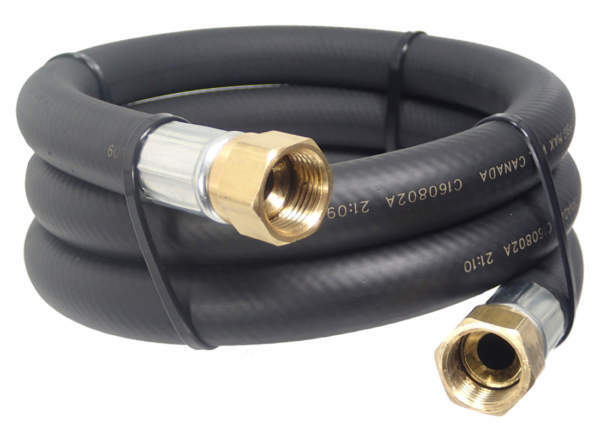 This 1/2″ ID Thermo Rubber Hose Assembly is a general purpose hose allowing connection to any high pressure propane or natural gas application. 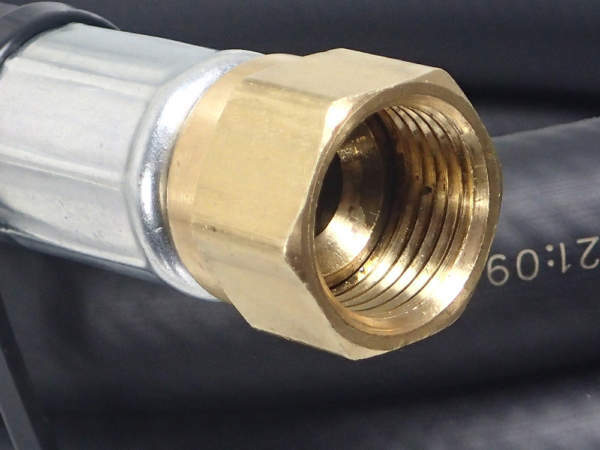 The 1/2″ 45º Female Flare Swivel allows an easy connection to a mating 1/2″ Male Flare Fitting. Thermo Rubber Hose is a preferred hose material because it is very flexible, even in cold temperatures and is not prone to kinking when installed in tight spaces that have multiple bending points. 1/2″ ID Thermo Rubber Hose Assembly including a 1/2″ Female Flare X 1/2″ Female Flare. 48″ Overall Length (Can be custom made to any length).